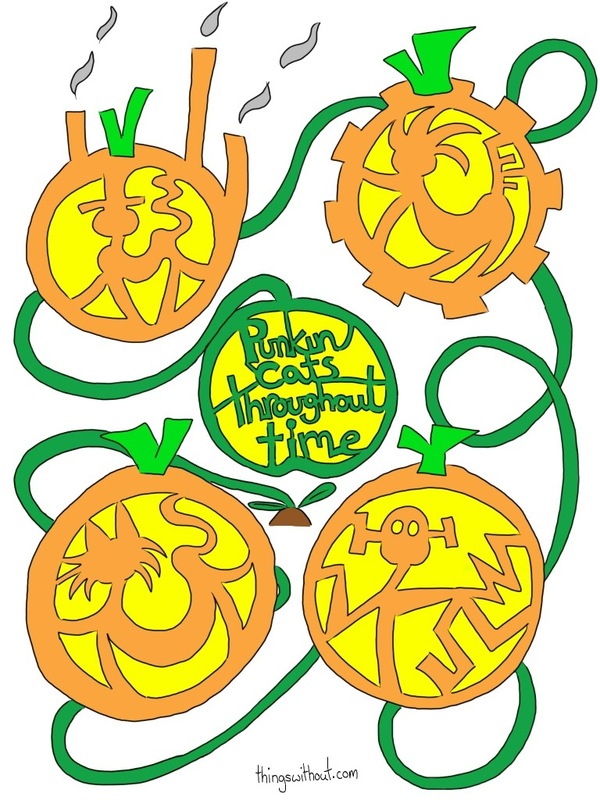 I drewed some Punkin Cats (I think that’s the collective noun for Pumpkin Cats doing interesting stuff). It was inspired, in a random bus catching kinda way by E. Catherine. Tobler’s free book competition (all you have to do is post something in the comments, though if you want to send her nifty drawings too I bet she’d be stoked). Get your entry in by August 13.